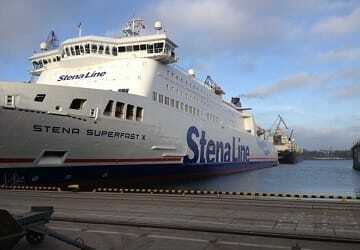 The Stena Superfast X is a recent addition to the Stena Line family on the Irish Sea. 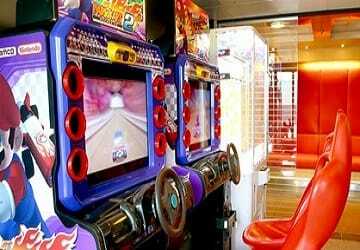 Previously known as Dieppe Seaways operating on the English channel, the Stena Superfast X went through a full refit to modernise and upgrade all aspects of the ferry before being put back into service for its capacity of 1200 passengers to enjoy. 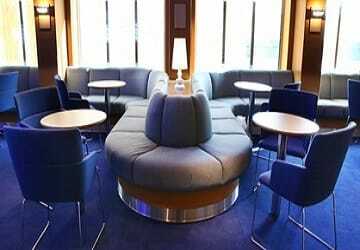 Spread across 10 decks, the onboard facilities are of a high standard and include 2 cinemas, coffee house, bar and grill, shopping centre, deluxe cabin accommodation, a premium lounge, a family lounge complete with children’s play area and x-box stations, plus much more. 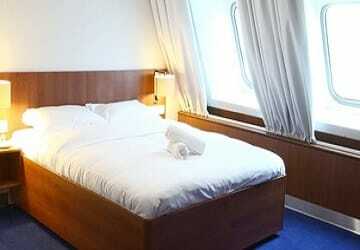 Onboard you will find two types of cabins - Comfort Class and Captain Class. All cabins are fully equipped with a desk area, en-suite facilities with a shower and are ‘sea view’. 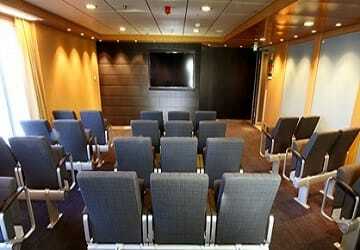 If you don’t wish to book a cabin selected seating is available thought out the vessel. Indulge in a delicious meal at the Metropolitan Grill, the extensive menu offers a range of tasty hot food, such as gourmet burgers, the signature dish of fish and chips or lighter snack options such as jacket potatoes with a filling of your choice. A children’s menu is also available. 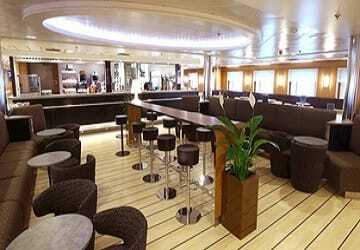 If you fancy a drink onboard head to the Metropolitan Bar to relax and watch the big screen TV, whilst having any one of the range of continental beers and wines offered. To experience even higher levels of luxury you can upgrade to the Stena Plus service, which includes express boarding and disembarkation, gains you access to the Stena Plus Lounge which is now four times bigger than any other lounge they have offered before, complimentary drinks, snacks, newspapers, comfy seating and waiter service. 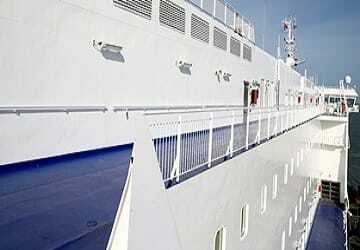 There is also Wi-Fi available through the ship. Stena Superfast X is a wheelchair friendly vessel, with two berth outside cabins made for easy access for standard and motorised wheelchairs and accessible lifts to and from the car decks. Please Note: Whilst we have taken great care in making our Stena Superfast X guide as accurate as possible, onboard facilities, services and entertainment may vary depending on the date and time of year that you travel, facilities mentioned may change without notification and ferry companies reserve the right to operate vessels other than those mentioned at time of booking without prior notification. Had a fabulous crossing to and from Ireland. Have been to Ireland to visit family many times but always flown, lots to do for children on the ferry. Return trip especially, the children's entertainers were fabulous!!! 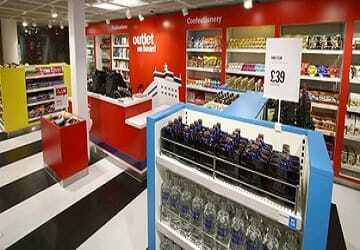 Will definitely travel with Stena line again. One downside was the cost of breakfast.... Overpriced and very expensive, just under £5 for a bacon roll...... Fed the kids before travelling home. Brilliant trip to Dublin from Holyhead on the Stena Superfast X. A very easy booking and check in process with friendly staff at the cafe at the port. Smooth experience embarking. Once on board there was plenty of seating and tables, with a separate cinema, soft play for the kids, friendly staff in the restaurant. I travelled on my own with three children who loved the experience and had plenty to occupy them. Very good facilities on board and a very pleasant crossing. Helpful staff as we were travelling with an older wheelchair user. We booked online which was straightforward. The crossing itself passed quickly as there was a small shop, restaurant, cinema and games room on board. Excellent choice of hot and cold food in the restaurant. Refillable coffee too! Staff were friendly and helpful! I travel quite often with Stena , on this occasion i could not go on the original dates booked because of a family illness . I contacted direct ferries ,explained the situation and in turn they contacted Stena .The outcome was that Stena allowed me an open ticket to use within 6 months ,have now been to Ireland .thankyou direct ferries and thankyou Stena . Cannot fault the service Stenna line provided. Would consider using again depending on price! Not having traveled on a ferry before, I was a little unsure what to expect. I found myself pleasantly surprised! Boarding was easy and uncomplicated thanks to excellent communication by the marshals and a logical boarding process. While waiting for boarding to commence, I was happy to find out that there was a lounge where you could get refreshments and relax, and bathroom facilities. 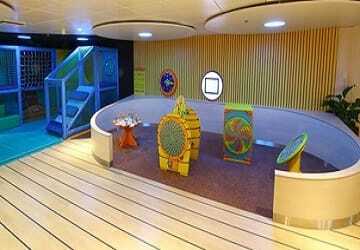 Once my vehicle was stowed away, I familiarized myself with the layout of the ferry. 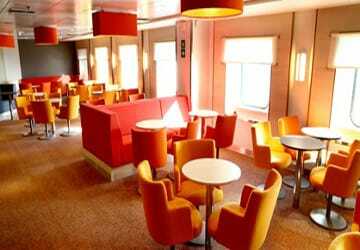 It has multiple lounges (Family, food and quiet), a shop, arcade, cinema, restaurant serving meals, bar and coffee shop, viewing decks and free wifi. Basically, plenty to keep you comfy and entertained for the short trip. On my return leg I had also booked a cabin. This was compact but functional, with a comfy single bed, TV and kettle and a small bathroom. Everything was very clean and tidy. Disembarking was equally pleasant. Marshals control the whole process and I was on the road again without any issue. "Nice cruise across to Dublin"
This was my first trip on the Stena Line and I was impressed. I forgot that it was a 3 hour trip but the on-board-cinema made the time go by quickly. Thank you for the great experience!